In today’s society, we are becoming more aware of the need to go to physical therapists in a regular way. Our way of life has given way to ailments that we previously thought that they were only applicable to elite athletes. Muscle aches, joints, back pain and a long list of diseases make necessary the presence of a good physiotherapy clinic. Only Ibiza present our list of the best physiotherapists in Ibiza. Because a good Physio save you the day, so, if you live on the island as if these holidays. Physiumibz Located next to the Park of peace, in the street Josep Rique Llobet, this specialized in physiotherapy Center serves from Monday to Friday. In addition to the activities, you will find treatment for TMJ dysfunction (TMJ), as well as manual therapy, physiotherapy invasive through dry needling and soft tissue regeneration or percutaneous neuromodulation ecoguide. Physical therapy Santa Eulalia Specializing in physical therapy at home, offers services of osteopathy, massages, dry or windy puncture. Fisab Physiotherapy, health and Wellness Center in Ibiza It is located in calle Peix Espassa, at Sant Jordi. Treatments include kinesitherapy, son-in-law-muscular techniques, muscle-tendon stretching and muscle strengthening techniques give some examples. Fisioactividad This Center attends Monday through Friday in the Madrid Street 35. They are specialized in therapeutic exercise and personal training. Also at its Center individual Pilates sessions and sessions are carried out in group. Fisioeivissa Located in the street of Bellmunt, this Centre for physiotherapy and osteopathy offers stretches neuromeningeos and orthopedics and Traumatology as well as sports injuries treatments. Clinical Corpore Santa Eulalia In ohrario from Monday to Friday, Corpore clinic is situated in the Paseo de la Pau, in Santa Eulària. It has specialties in podiatry, osteopathy, physiotherapy and psychology. Cirf Centro de Fisioterapia Located in the passage Castavi in Cirf are specialists in physiotherapy and pain myofascial and RIM. Eivis Salut Avenue 36 Spain we found EiviSSalut. Besides the typical services of physiotherapy in Ibiza offers natural disciplines of health & Wellness. My Physio Ibiza offers its services in the street Minorca and includes an hour of free parking in a car park nearby. It offers sports physiotherapy, manual therapy, manipulative therapy of the spine, induction myofascial and Kinesiotaping. Street Bishop Gonzales Abarca Physio Ibiza offers a wide range of techniques of recovery and treatment as visceral techniques, muscle energy, release myofascial, back-EMF lymphatic among others. All of the products or services offered by these companies may change without prior notice. Please see the list of services in the various pages of each company. 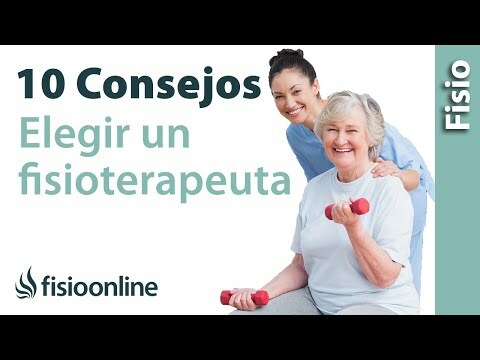 If you know or are some physiotherapy clinic owner, or you are fiseioterapeuta, and you think that you should be in this list, you do not have to get in touch with us. Remember that we have other lists of companies recommended as the estate of Ibiza.